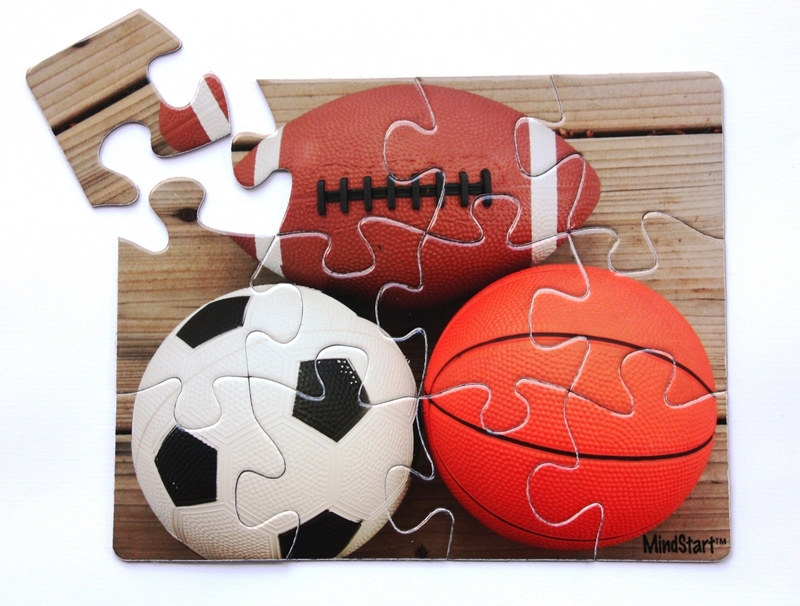 This Sports puzzle has only 12 pieces; a simple, age appropriate image; and large pieces which are easy to handle. 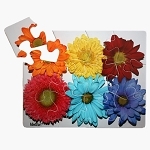 Puzzles are made of a thick, durable chipboard and are 8.25" X 11" when complete. Consider for MindStart middle activity level. Traditional puzzles have many pieces and detailed images, with pieces that all look the same. They are are too difficult and frustrating for patients with dementia. 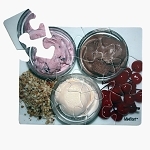 MindStart puzzle products are unique because the images have only a few, simple objects in each image, making it easier for the user to find pieces that go together. For instance in the Sports puzzle, the brown football pieces stand out different from the orange basketball pieces . This design feature, along with having less puzzle pieces, provides the right amount of difficulty and brain stimulation for adults with dementia. 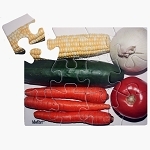 "Large piece puzzles benefit patients with memory loss due to dementia"
Therapist Tip: Setting jigsaw puzzles provides cognitive stimulation to patients, such as: visualizing and determining how the pieces should be oriented and fit together (visual-spatial skills); matching of colors; dexterity of the fingers; and concentration. The puzzle image can also spark memories and conversation. 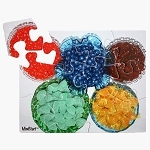 MindStart puzzles are a form of therapy for people with memory loss due to Alzheimer's or other forms of dementia, head injury, Parkinson's, stroke, or frail elderly who tire easily; large piece puzzles are also useful for seniors with vision loss. The Sports puzzle can stimulate conversation about favorite sports, favorite teams, and famous players. Subject matter appeals to men. Large pieces and contrasting colors help with assembly.